There are quite a few different types of rivets available. This can sometimes make the process of choosing the right rivet somewhat complicated. Along with considering the type of rivet, it is also important to consider the material from which the rivet is produced. Among the most popular types of rivets are brass rivets. Brass rivets are considered among the highest quality rivets available. These types of rivets are commonly used for automobile and mechanical projects for binding and joining. One of the reasons that brass rivets are a preferred choice for such applications is that they provide prolonged use. Cold headed brass rivets, in particular, can offer a number of important advantages for your project. In the cold headed manufacturing process, there is no heat used. The cold headed manufacturing process also ensures that there is virtually no waste of the raw material during manufacturing. This makes it possible for more rivets to be produced in a shorter amount of time and at a lower cost. Brass rivets are also an appropriate choice because they can be used with so many different types of applications. The reliability and efficiency provided by brass rivets makes them a great choice for projects in which high tensile strength and superb clamping is required. In addition, brass rivets are a great choice when you need a rivet that will provide an attractive finish or you need more of an antiqued look. While brass rivets provide a number of important benefits, it is important to choose the right supplier in order to take full advantage of those benefits. Not all rivet suppliers are the same. In choosing a rivet supplier for your brass rivets, it is important to consider how long the supplier has been in business. You should also consider whether the supplier actually specializes in producing brass rivets. 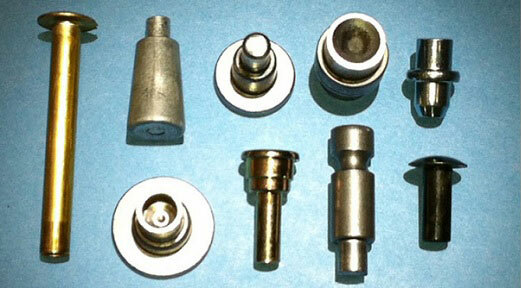 Also of importance is whether the supplier produces brass rivets using a cold heading process or a machining process. Brass rivets can provide tremendous value when careful consideration is given to whether they are the right choice for the relevant project.